Charter a private flight to San Luis Obispo, California. Whether flying private to California for vacation or business, we can arrange the right aircraft and flight itinerary that best suit your needs. Los Angeles Private Jets believes in providing private flyers with a one-on-one consultative service experience that exceeds every expectation. We understand that your time, privacy, flight preferences and most of all, safety, are all extremely important. Our San Luis Obispo Private Jets representatives are available for you by phone and email 24 hours a day, 7 days a week. When using our private aviation service, you can expect quick response times and an easy, hassle-free booking process. Request a quote or call us to arrange your flight to San Luis Obispo, California. San Luis Obispo is one of the most picturesque towns on the west coast, and was number one on Oprah’s list of the world’s happiest cities. This makes it a perfect destination for private flights into Morrow Bay or Paso Robles. The perfect weekend or week-long getaway, you can spend your mornings hiking the mountains of various difficulties, and then head to the gorgeous beach. After washing off, there are a ton of waterfront diners and other eateries where you can grab a tasty lunch. After you book your private flight, you’ll want to find a place to stay. The following list of our top hotel choices was created based on factors such as Los Angeles Private Jets passenger feedback, location, amenities and online reviews. Once you arrive in California via luxury private aircraft, our representatives can also arrange ground transportation to/from the hotel of your choice. When you book your flight into (SBP) San Luis Obispo County Regional Airport, you’ll find yourself right on the coast in Central California. Right in between Los Angeles and San Francisco, the city is a must see for anyone traveling on the West Coast. The locals are said to be the happiest in the world, and it’s easy to see why. The city has the “9 Sisters” mountains, the Pacific Ocean, and incredible weather nearly all the time. Famous for the active lifestyle that it offers, you’ll find healthy vegan artisan restaurants all over the place. The San Luis Obispo Farmers Market is known by people all over the West Coast as one of the best. The downtown area transforms with stalls littering the entirety of the downtown area. Morro Bay is a small beach community in Central California. With a population of about 10,000 people, this quiet and quaint town makes for a nice day trip when visiting. After flying into (SBP) County Regional Airport in your private flight, you’ll be very close to Morro Bay. On offer as far as attractions go, you have a few state parks, museums, and natural formations. Morro Bay State Park Museum of Natural History offers a bit of everything, and is definitely worth checking out. After that head down to The Embarcadero for a scenic walk through a tourist friendly local port. Check out more of our recommendations after your private flight to San Luis Obispo, California. With its very airport, Paso Robles is an ideal destination for anyone flying private. Adding to the advantage of flying into (PRB) Paso Robles Municipal Airport, it’s almost exclusively used for private flights and has lots of amenities for new and returning clients. 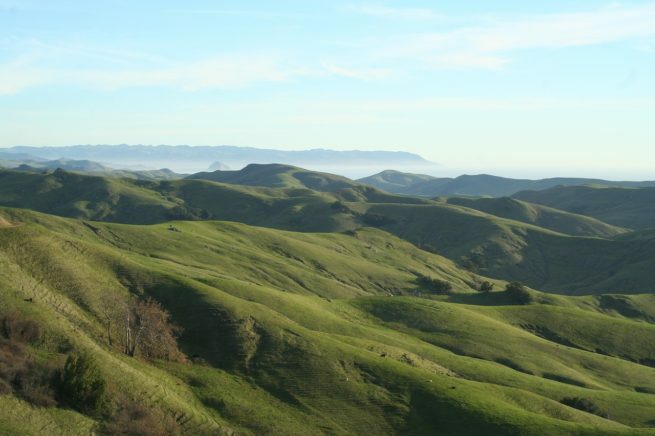 Aside from being an ideal town for private flying, being in San Luis Obispo County means Paso Robles is close to some of the most beautiful sights in Central California. 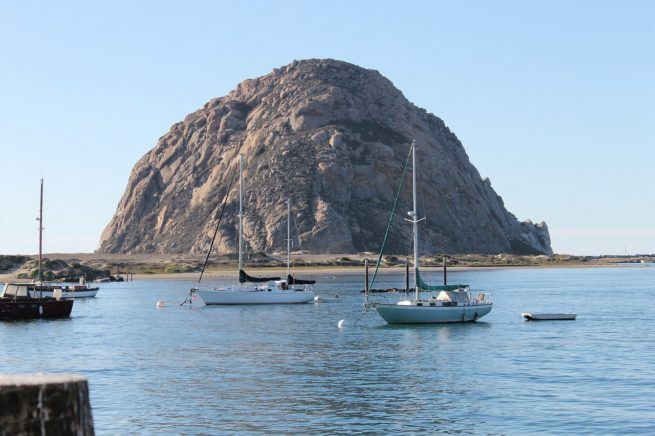 After enjoying some of the equestrian life-style that Paso Robles is famous for, take a day trip to Morro bay. If you don’t feel like heading out on a day trip, stay in town for some of the best wine tasting around. With over 200 wineries, you’re bound to find something that you can enjoy. So set aside a few days and book your private flight to Paso Robles! Los Angeles Private Jets utilizes the following airports to fly clients privately to/from San Luis Obispo, California and neighboring areas. Request a Quote or give us a call at 1-888-987-5387 to speak with one of our San Luis Obispo Private Jet Charter agents for your next luxury vacation, business trip, or special event.